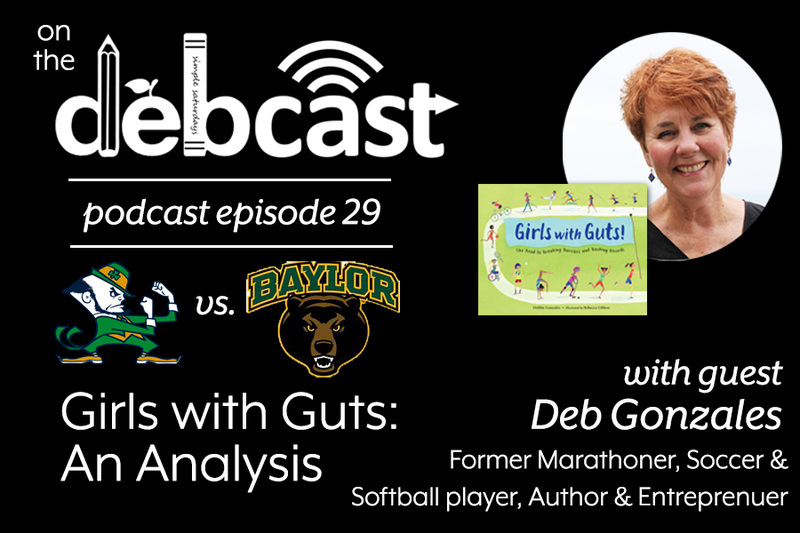 In this episode, Deb Gonzales uses the author’s note from her debut non-fiction picture book GIRLS WITH GUTS: THE ROAD TO BREAKING BARRIERS AND BASHING RECORDS as the basis to analyze the foreboding competition demonstrated in the NCAA championship game between Baylor and Notre Dame. Deb explores the performance of two key players and their coaches, proving that they depict the ultimate expression of what it means to play like a girl! Subscribe to The Debcast on iTunes here. Sign up for Deb’s newsletter here. Share your thrills of victory and agony of defeat by joining the Debcast Facebook Group.